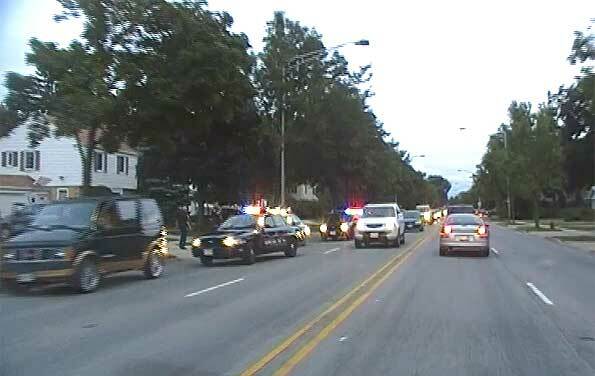 Images from of felony traffic stop on Arlington Heights Road, just south of Fairview Street. 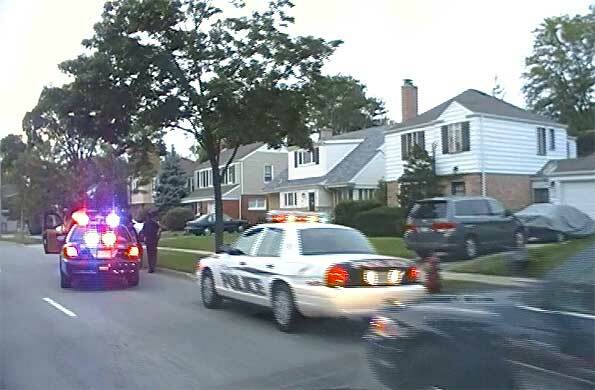 An Arlington Heights police officer announced he was following a felony vehicle northbound Arlington Heights Road at Golf Road at about 7:55 p.m. Friday. 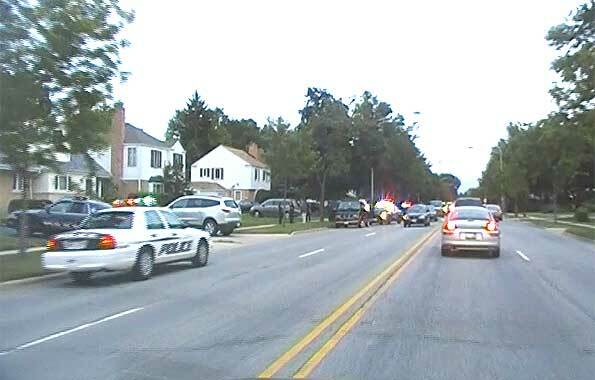 Back-up police squads headed toward the area as the officer followed a black GMC van that continued northbound on Arlington Heights Road. The police made the stop on northbound Arlington Heights Road, just south of Fairview Street at about 8:00 p.m. The driver of the GMC van pulled over to the right and stopped when police emergency lights were activated. Arlington Heights police blocked southbound Arlington Heights at Park Street for safety. Arlington Heights police also blocked northbound Arlington Heights Road south of the traffic stop. A felony stop usually involves officers drawing their guns as they approach the suspect or suspects in the car. The driver is usually ordered to exit the vehicle while showing his or her hands. The suspect is usually ordered to walk backward toward the officers to a position of safe custody. Sometimes the vehicle is searched. The police database had a request from Gurnee Police Department to hold the vehicle for the Gurnee Police Department. The vehicle was towed to an Arlington Heights police holding area. Within minutes Arlington Heights police officers had three suspects in custody — one male and two females. It is unknown what felony was related to the vehicle stop at the time of this posting.